Unicorns. A poster. 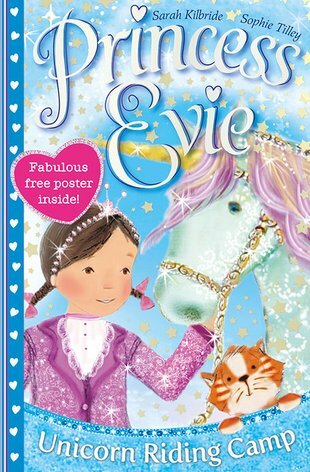 An Evie chapter book. Miracles do happen. This is proof of it. Do you adore Evie and her magical stable of ponies? Are you growing a bit bigger? Then you’ll be thrilled by Evie’s new chapter books. Lovely stories to keep you riding high as your reading skills grow. More pages: room for even more magic. Evie and Diamond are at a riding camp high up in Cloud Kingdom. Can they help a runaway unicorn find its way home before a storm hits? Have extra fun with the bonus puzzle pages and beautiful wall poster.